Be it known that on this 29th day of September, in the year 2015, I did don a sweatshirt for the first time since storing it last winter. Because while out running errands, in thin t-shirt, floppy shorts, and flip-flops, I came this close to freezing my buns off. Pretty sure the temp was only in the high 60s, so … And the breeze was chilly on the balcony, in the shade, so hey, sweatshirt weather, fall is here! Halfway up the block I had to peel out of it, but it happened! It’s official, my favorite season is gracing us with its presence. I’ll shed the flip-flops by first snow. 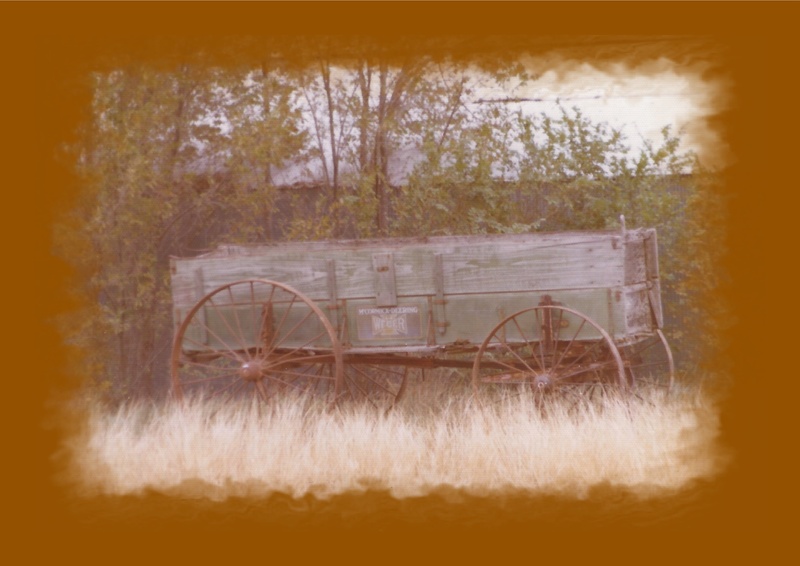 The wagon, in its autumn sweetness, was a part of my farm for as long as I lived there and many years before. I don’t know where it is now, other than in my heart, but I still love it.